The Rickshaw Run starts in Bangalore and ends in Jaisalmer approximately two weeks later, give or take. Where we go in between is TBD. The Adventurists provide no guidance on route, and no checkpoints or support along the way, so it’s totally up to us where we go in India. Along the way, we will plot out our where we give out rubber duckies. Kind of like a breadcrumb trail. 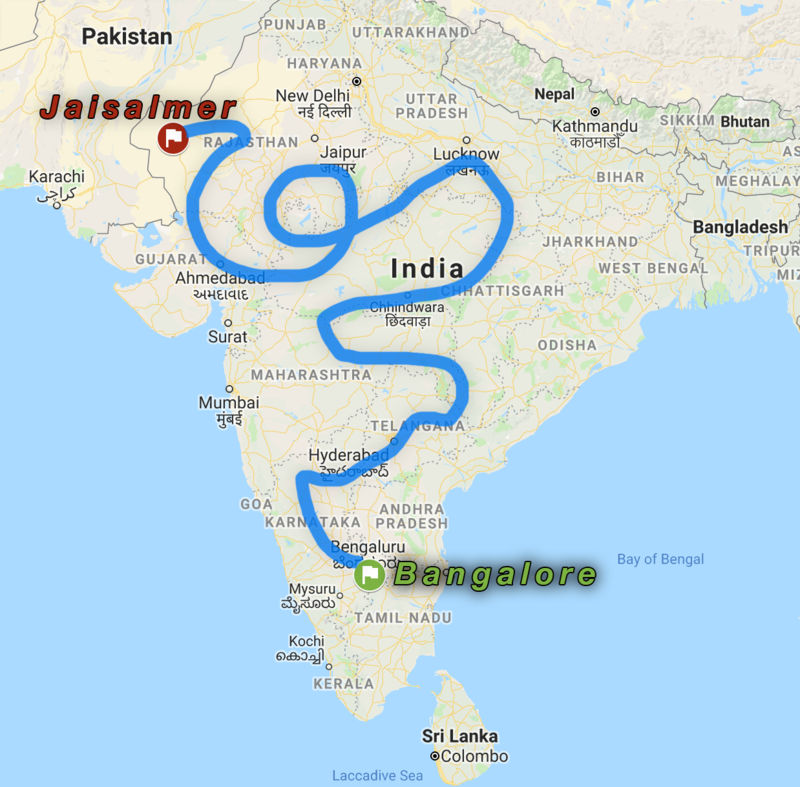 By far the best way of keeping track of our route across a foreign subcontinent.